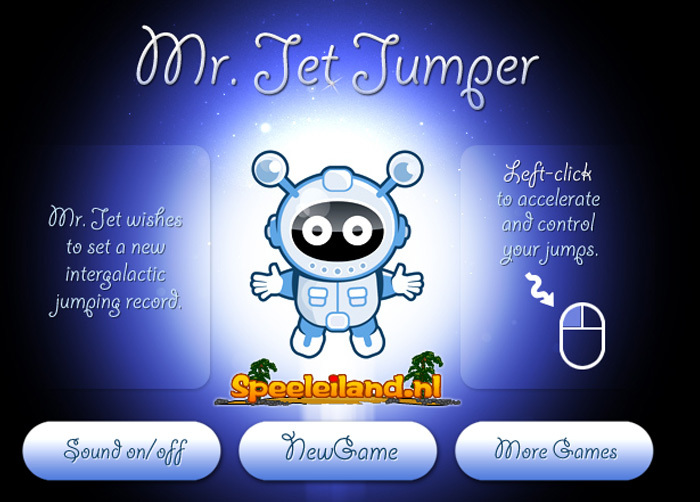 Mr. Jet is a space jumper and he wants to improve the intergalactic jumping record. Help him achieve his goal, let him fly as far as possible, making good use of his jetpack. Do not fly too high, though, or else Mr. Jet will smash to death when he comes down. Good luck!